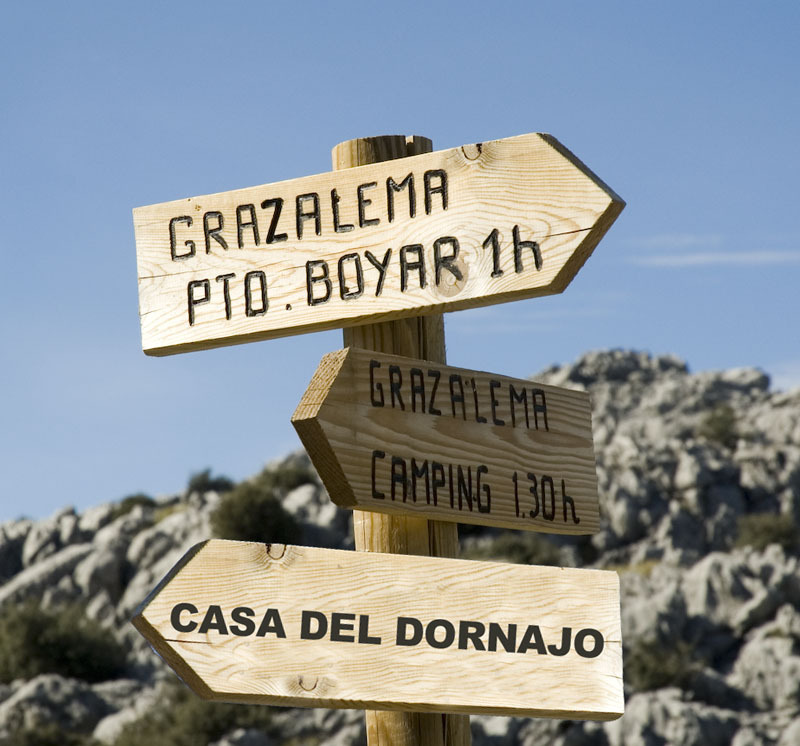 Classical circular route around the Penon Grande Grazalema with start and finish in the Puerto del Boyar. 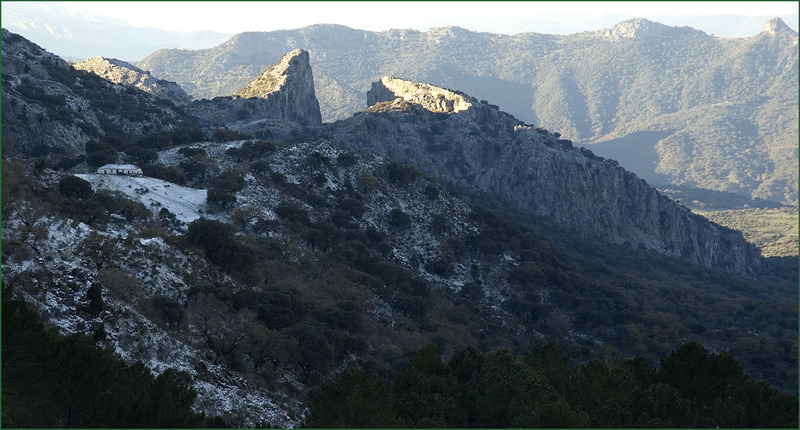 Classical circular route around the Penon Grande Grazalema with start and finish in the Puerto del Boyar (1,110 m), this time with the added incentive to kick the fallen snow a couple of days earlier. Date: morning of 9 January-2010. 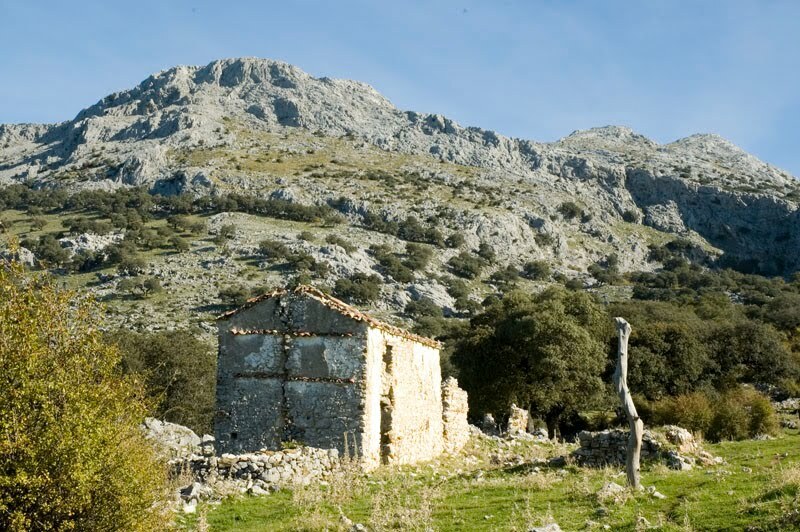 We have a record of the route, made contrary to this sendito, and out of Grazalema. 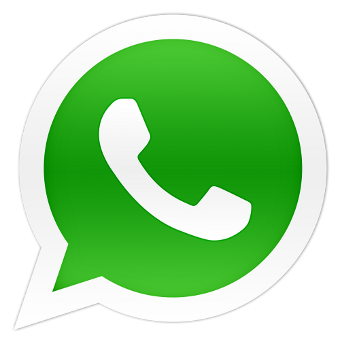 You can consult by clicking here. The route begins in the port Boyar and inevitably take a snapshot of Salto del Cabrero that receives the first rays of the sun. House of Albarradas and Corridor still in shadow. 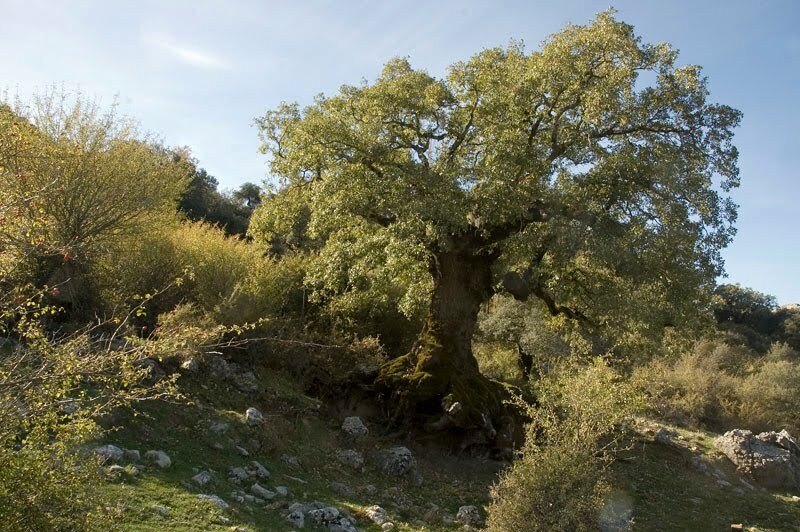 We begin is rising path of the clips and soon found one source that waters form the Guadalete River. Some of that water is frozen. The temperature is about three degrees below zero. Harbor Road found this pine grove. There is less ice and more snow powder. We are the first walker in the morning. The footsteps are walkers the day before, softened by the snow stirred by the wind. The pleasant sunshine surprising and very close to the clips. Until then the foothills of the Peñón Grande have caused a great shade in the area. Here we come to -5 ° C.
Exceeded the port of clips (1,257 m) look back to delight us with the crest of the Sierra del Pinar, view from the Sierra del Endrinal. Two very close and geologically very different massifs. Corridor between Boyar. We are already down to the plains of Endrinal when we find one of the Snow Wells until the last century used to store this precious gift of nature. We have before us the Plains Endrinal (1,062 m). This large sinkhole is colonized by a forest of pines and sloe small. 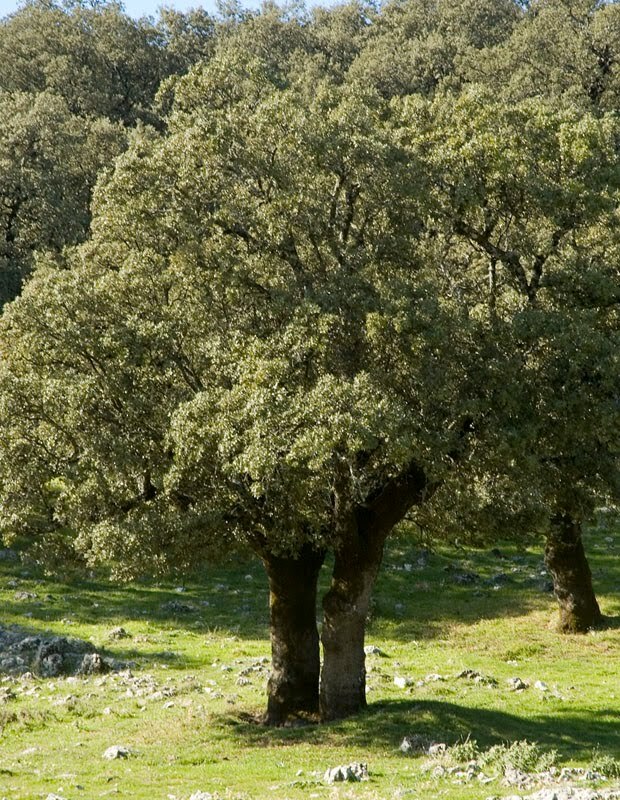 All around the main hills of the Sierra del Endrinal: Simancón Clock Yedrales and Penon Grande. Again we rise to the Pto. 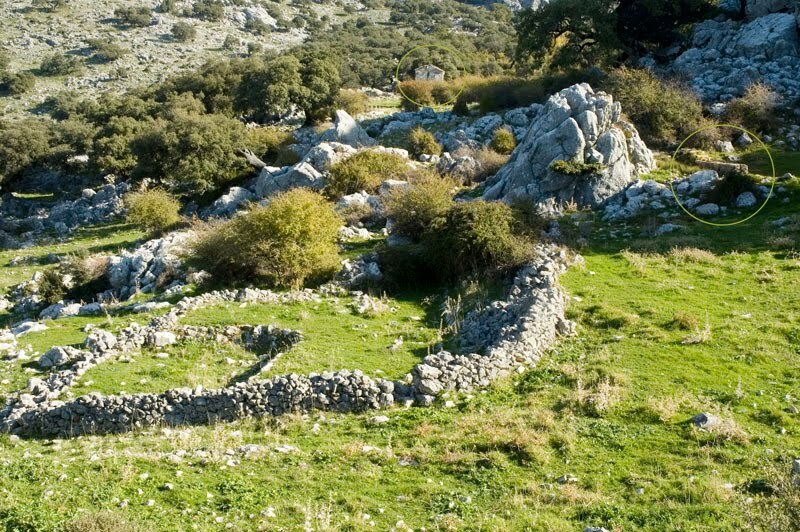 Endrinal (1,100 m), road Grazalema. 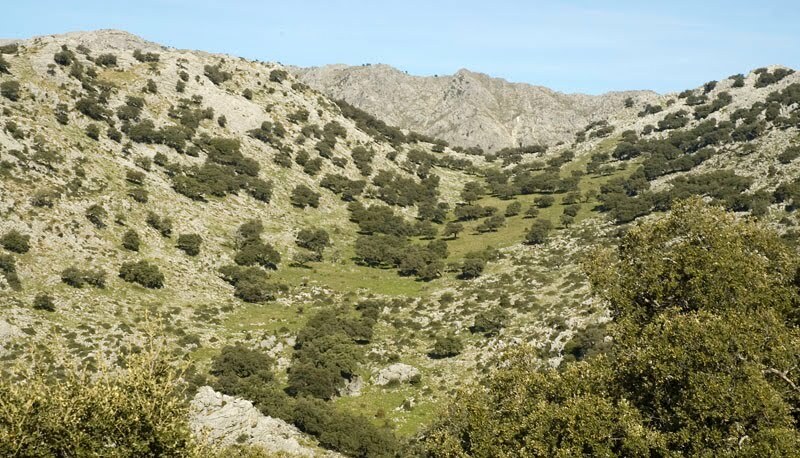 In the background we see the canyon that we were bringing why would the old way of Grazalema to Benaocaz. Mahon and in full Cañada where the Peñón Grande is steeper and the almost vertical walls are this group of mountain goats grazing peacefully and enjoying the sunny morning. Click on the photo so you can see them better. At the bottom of the ravine we expected Grazalema, still covered by snow. Now we must continue to link up with the way of the Charcones that will lead to Boyar. 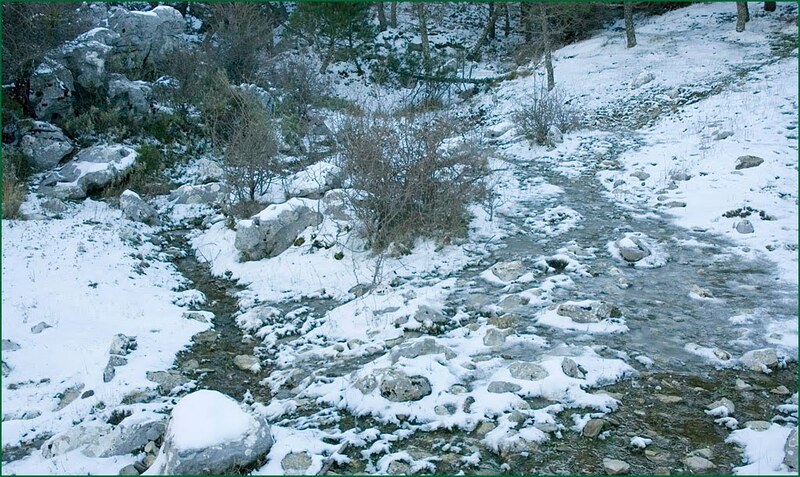 Shortly after crossing the first bridge over the Guadalete, pure and crystalline water from the melting, we find this fast way to save is a small rocky slope. The path of the Charcones shady area remains completely frozen. There are several times that we have to cross our river craft wooden bridges. 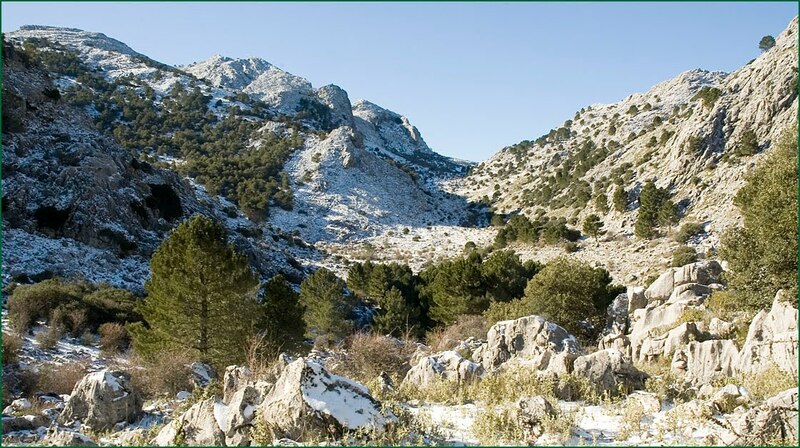 And finally, after 7 km long and about three hours of pleasant walk and stops to admire the first snow on the Sierra de Grazalema Natural Park, we return to the starting place. The sun is already high enough on the horizon to illuminate the narrow valley formed by this weak stream called Guadalete that await many kilometers before emptying into the port. 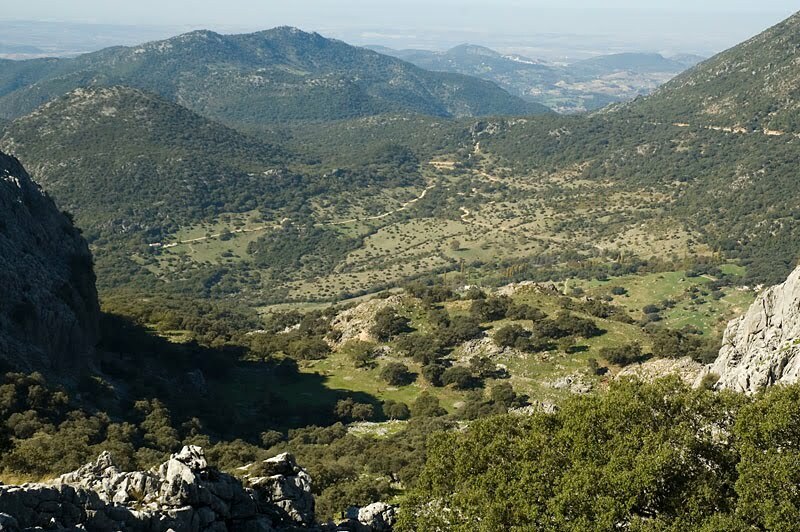 One last look back to, from the viewpoint of Boyar, see the crest which forms the Peñón Grande just edging. It is one o'clock and with difficulty we managed to leave the area in which accumulate and dozens of cars, some parked correctly, others anywhere, blocking those who seek to reach Grazalema.